After 3 long years of searching, i finally found the highly raved Aiwa HP-D9 which was discontinued way back 90’s. Based on the Chinese market, it is somewhere in the top 5 best earbuds ever made. I got it brand new from ebay for $250 (retailed for 10,000 yen way back 1991-1994) which may seem too expensive for an earbud. Now before you complain on why it is very expensive, first of all it is made of a 60-mm U-bass flute headset design, Amorphous Diamond Coated Diaphragm, linear crystal oxygen-free copper cord, strongly SA-CO-driven 15mm Neodymium Magnet, 24K gold-plated stereo connector, boiling down to an incredible frequency response of 5hz-30khz. The Sonys on the other hand, was obtained from a local clearance sale. I believe it was made during the low 1980’s and discontinued during the 90’s when demand was lower. Both earbuds are very well built. The cables on the aiwa are made of liquid crystal-ofc and is very soft and at the same time durable. The cable of the sony is overbuilt that sometimes it can tangle when you are using it. It is made of standard ofc. d9: Super detailed and lovely highs without a trace of sibilance. Go ahead and blame it on the amorphous diamond diaphragm. Mids are superb and right where its suppose to be. Bass is very tight with no hint of boominess. Perfect for lenny songs. soundstage is very wide, tall, and deep. Excellent imaging and instrument separation. You can clearly hear every instrument played w/out getting muddy and losing speed. d9: Bass is deep but lacks albeit of quantity (a fit issue obviously). Mids are still superb. You can hear etherfox breathing in front of you! Treble as usual is sparkly and ever so addictive and the sound stage is very realistic and huge. e262: Bass oh so yummy goes deep (20hz!) without being too boomy. It has enough weight and punch to make you believe you’re using full size headphones. Mids are thick and warm but doesn’t get lost during bass lines. Highs are clear and detailed but again lacks sparkle while the sound stage is wide and good. d9: Mids shine here. It sounds so realistic I get shivers. Close your eyes and you feel like being beside her. Treble extends perfectly without a hint of graininess and sibilance. Bass is tight with the perfect quantity. Timbre is too excellent I might just sell my e-q5. Soundstage again is excellent. e262: Very smooth but sounds muddy like its playing through a thick wall. Mids are good but is a bit dominated by the bass. Highs are there but lacks sparkle. Sound stage is so so. e262: Crazy bass weight and so deep like 12″ subwoofers. You feel it vibrating on your ears. mids are good without getting drowned. Highs are there but who cares about highs when your listening to hip hop. d9: Mids again shine here. Excellent instrument separation and super airy wide soundstage makes you feel like your sitting right in the audience. Highs as usual is very detailed. Bass is tight and punchy but again lacks quantity, decay, and reverb. d9: Bass is alright but severely lacks quantity making it sound thin and lacking in body. Mids are smooth buttery and oh so addictive. Sound stage is airy and very realistic. Super clear like amanpulo sea water highs making it super addictive. e262: Perfect bass rumble and depth. Clear mids. detailed highs without sibilance. Once again, let the foot tapping begin. d9: very airy introduction. Sounds like your in paradise. Highs mids and bass are all perfect in quality and quantity. Sound stage is wide and tall with excellent depth. Music never sounded this good. Again blame it on the diamond diaphragm. e262: Complete opposite of d9. smooth intro. Bass has great body and impact making it very realistic. Highs are very detailed and never sibilant. Mids are very good here. Sound stage is wide and spacial. Both earbuds are very good and pleasing to listen to. Jazz,classical, and rock sounds best with d9 while hip-hop/rnb/electronica sounds best with 262. Both compliment each other very well. If I could make a custom earbud it would be the highs and mids of the aiwa + bass impact and quality of the sony. That would be perfect in my opinion. 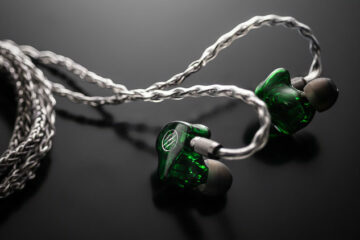 If the d9 was an IEM it would be like a dba02 with better highs, mids, soundstage, and timbre. If it was a headphone it would be like sennheiser hd598 with again better highs, mids, soundstage, and timbre. On the other hand, the sonys would be like the radius ddm; silky smooth, monstrous bass, and without a trace of sibilance. If it was a headphone, it would be like a audio technica es10 with more foward mids and wider sound stage. 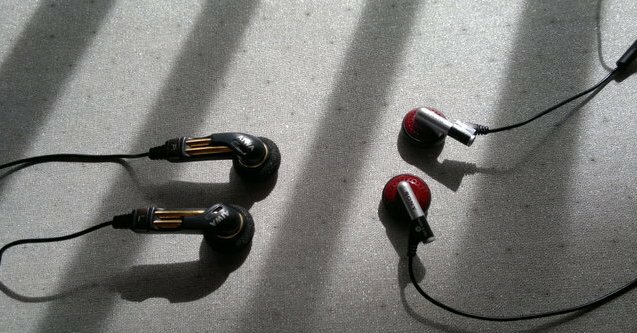 This review is super old and I didn’t write it, but I’ve heard them all and agree that the 262 is the best of the older generation of earbuds. Today though, there are plenty of better choices. The aiwa has a larger sound stage but the Sony 262 always felt cleaner to me. 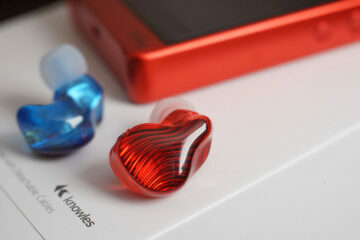 Hi, by the best earbud, you consider the 2, 4, 5 lines from sony and all from aiwa, like the v99 too? Just asking. SONY MDR-E262 IS THE BEST MADE IN JAPAN EARPHONE EVER MADE, i HAVE A SET AND I WOULD NOT LET IT GO WITHOUT $2000. THEY BEAT AIWA, BOSE,PHILIPS AND ALL COMPETITORS . THIS GUY WHO DID THE TEST FORGOT 1 IMPORTANT THING, MAINTENANCE! HE BOUGHT A USED SET OF SONY MDR-E262 , FIRST THING YOU GOTTA DO IS TO PERFORM A COMPLETE DRUM SURFACE CLEAN UP, THE JUNK BUILT UP FROM HUMAN EARS REDUCES CONSIDERABLY THE PERFORMANCE OF THIS JEWLERY, CLEAN THE DUST FILTER AND THE METAL GRILL,RUBBER SEAL ,PUT IT BACK TOGETHER AND INSTALL NEW GENUINE SONY SPONGE AND DO THE TEST AGAIN. hehe, Franz not me buddy, still figuring out how to get the right credit to the right person for the article but it is all good eh?